I can’t get enough of Olana vistas during the fall season! 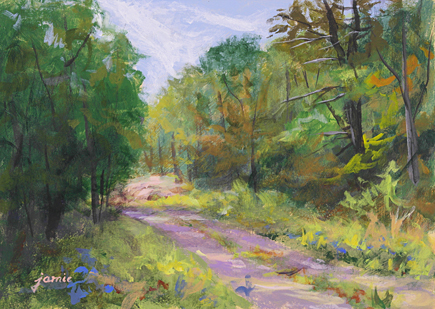 This is a little plein air piece from along my driveway. 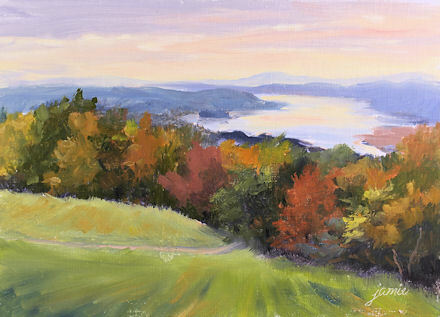 I’ve painted here in every season; it’s an easy spot for me to get to! Perhaps someday I should have a show of driveway paintings because I do paint there frequently. I liked the way the rock outcropping illuminated at the end of the road in the morning light, and the colorful wildflowers lining the sides of the path.